The Bible teaches us that Amalek, the eternal enemy of the Jewish people, was the grandson of Esau. Jewish tradition teaches that there is an Amalek in every generation. There is ongoing rabbinic debate over the identity of Amalek in our generation. The celebration of Purim is preceded by the dawn to nightfall fast of Esther. In a brand new podcast from HaYovel, Joshua Waller helps listeners from the Christian world connect to God’s deliverance against the enemies of the Jews, a central theme of the holiday of Purim, by pointing out that the current threat facing the Jewish people parallels the one for which the Fast of Esther was originally called. With these words, Waller used the context of the Purim story to call on the Christian world to support Israel today. In addition to using the Purim story as a source for ideological support of Israel, some Christians actually mark the holiday of Purim with a communal reading of the Book of Esther. Last year, at the National Religious Broadcasters convention in Tennessee, Israel365, the NRB and Tennessee’s Congregation Sherith Israel organized a reading of the Book of Esther on the holiday of Purim for approximately 100 Jews and Christians together. 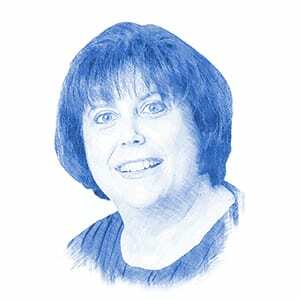 “This is a first at the Convention and truly a blessed occasion when Jews and Christians can celebrate God’s miracles together,” wrote NRB in its official announcement about the reading. 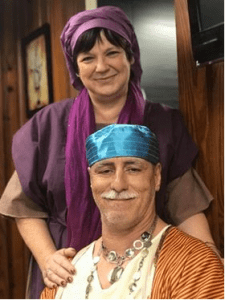 In Brandon, Florida, the members of For Zion’s Sake Ministry celebrate Purim with their annual communal reading of the Book of Esther. In this video of last year’s reading at For Zion’s Sake Ministry, the Book of Esther is being read in English. 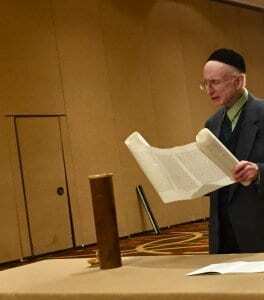 In Jewish communities, The Book of Esther is read from a Hebrew parchment scroll. However, the costumes, and the custom of booing or otherwise making noise to drown out the sound of the enemy Haman’s name during the reading, is similar.